Let's not beat around the bush. Sure, it's not a subject we're dying to discuss, but body acne is the WORST! I can't begin to count how many people have asked me about what I'd recommend for those unsightly chest and back breakouts. Don't worry though, cuz I've got you handled. First of all, you need to think about why it is that you may be breaking out in those areas. Are you excercising and forgetting to shower immediately after your run? Are you forgetting to reach those sometimes-hard-to-reach areas with a back brush? 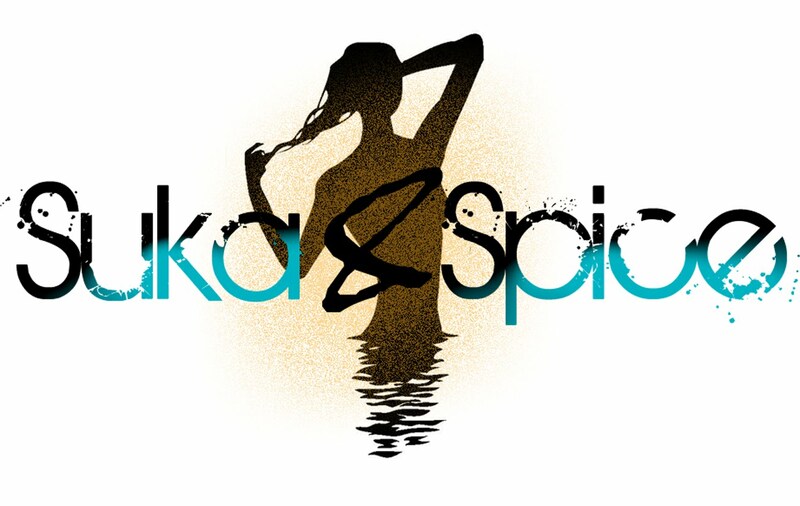 All skin in our body needs to be kept intact--not just our face. Here are my three top zit-busting remedies, so you won't ever have to wear a turtleneck in the summer again. This is the big hitter. 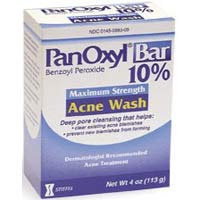 PanOxyl Bar (and let's cut to the chase and use the 10% instead of 5%), will wipe that stuff out of your skin so quick you won't have time to say goodbye. It won't leave any sort of residue, and the active ingredient Benzoyl Peroxide is stronger than those other ProActiv wannabees. Just don't forget to moisturize the affected area well after jumping out of the shower--because it's so concentrated it has a tendency to be drying. $8? That's all, for clear and smooth skin? Is 10% Benzoyl Peroxide a little much for you? Relax. 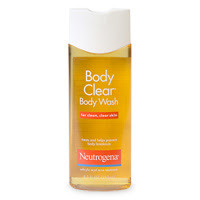 You can always switch off with this 2% Salicylic Acid Neutrogena Body Clear Body Wash. It may take a little longer to see the benefits from this method, but if you know without a doubt that there's no way in soapy hell that you'll be able to withstand PanOxyl, give this guy a run for your money. At $5.99 you'll have a hard time being let down. 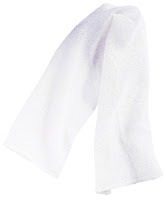 One of my all time favorite bath accessories is the Earth Therapeautics Hydro Towel. Super long, and easy to rinse, there's no excuse to not be able to reach every inch of your body. It's best to throw it in the wash every couple of washes to make sure that you're not just redistributing bacteria all over your body. You can also find these in Japanese Dollar Stores like Daiso for a fraction of the price. Now that your skin is ready for the beach, and summer is most definitely here, whip out your cutest bikini and relax in the sun knowing that you have nothing to hide!